Steel Electrical is your local electrician service in South London, Surrey and the surrounding areas. With our small team of highly-trained, NICEIC-registered electricians, we offer a personal, bespoke service that is fully tailored to your needs. Whether you’ve just built an extension on your home and need us to take care of the wiring, or you manage a commercial property and want help fitting new LED lighting, Jack and his team can offer you the perfect solution. We believe a good electrician should offer three main things: honest prices, reliable services and unbeatable expertise. 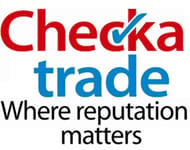 And, judging by our average score on checkatrade.com, we like to think we tick all the boxes. Our electricians are prompt, friendly and know everything there is to know about electrics – which means that we can complete the work with as little disruption as possible to your day. You can rest assured that all electrical work will be completed within the agreed time limit and budget, and that we will leave your building safe and sound. Steel Electrical are based in the heart of Surrey and cover areas including Ashtead, New Malden and Wimbledon. Hire the Steel Electrical team to update your wiring with a full or partial rewire, ensuring it is safe, efficient and in compliance with Part P of the building regulations. Our electricians can help with all elements of your LED lighting installation, including advising you on where and how to position them. Trust the Steel Electrical team to install, maintain and repair your electrical underfloor heating system. Keep your family and property safe by hiring our electricians to replace your consumer unit (fuseboard) – we’ll ensure that, if a fault occurs with an electrical device, the circuit breaker will trip and cut the power. Whether you want to deter intruders with security floodlights, create an attractive and well-lit patio area, or be able to use power tools and other electrical devices in your garden shed, our electricians will make sure that your outside lighting and power supply is safe, reliable and up to standard. When it comes to electrical safety, nothing should be left to chance, which is why you can hire our experts to thoroughly test and inspect all your electrical fittings, appliances and wiring. We will make sure that, if the power suddenly cuts out in your home, you have reliable and well-placed emergency lighting set up to keep you safe. If you’d like to find out more about our high-quality electrical services or our team of City & Guilds-qualified, NICEIC-registered electricians, contact us at Steel Electrical today. We will be happy to provide you with a free, no-obligation quote for your electrical project. We have used Jack and the team from Steel Electrical for numerous of our projects where we have required an electrical contractor. They are now our preferred partner for Electrics. We would highly recommend them for any project small or large. They are very punctual and professional and the feedback from our customers has always been excellent. I had 63 Downlights fitted, extras on top, cables chased and came back to do small bits in the evening that I forgot to ask for… have used Jack and Steel Electrical now on 3 properties. Very efficient reliable and easy to deal with. Highly recommend. Jack provided a friendly, timely and efficient service, and ensured that lack of power during the re-wiring was kept to a minimum. The site was always left safe and tidy at the end of the day, and everything was thoroughly tested before departure. I would happily call him for any future electrical work. A quick, reliable and friendly service from start to finish. Jack and his team carried out a full re-wire on our 2 bedroom property and was extremely helpful every step of the way. We had no mess and no fuss, his team kept our house really clean and all the work is very neat and tidy. Steel electrical clearly take pride in what they do. We have already recommended them to friends of ours. 10 out of 10.